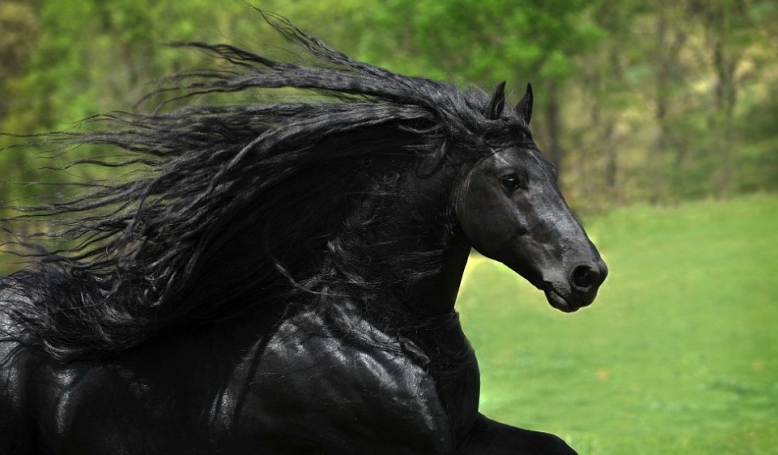 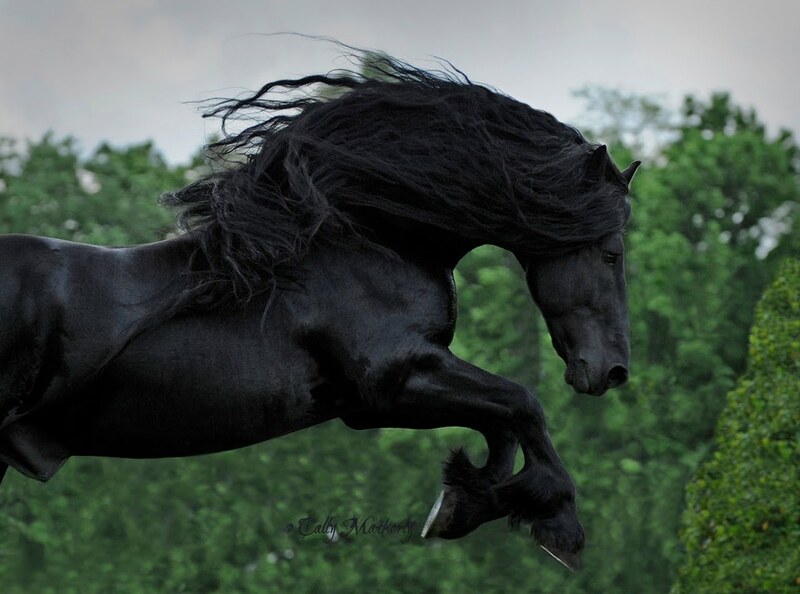 Sharing his name with the ruler of Prussia from 1740-1786, the highly acclaimed horse has a muscular build, striking black features and flowing mane. 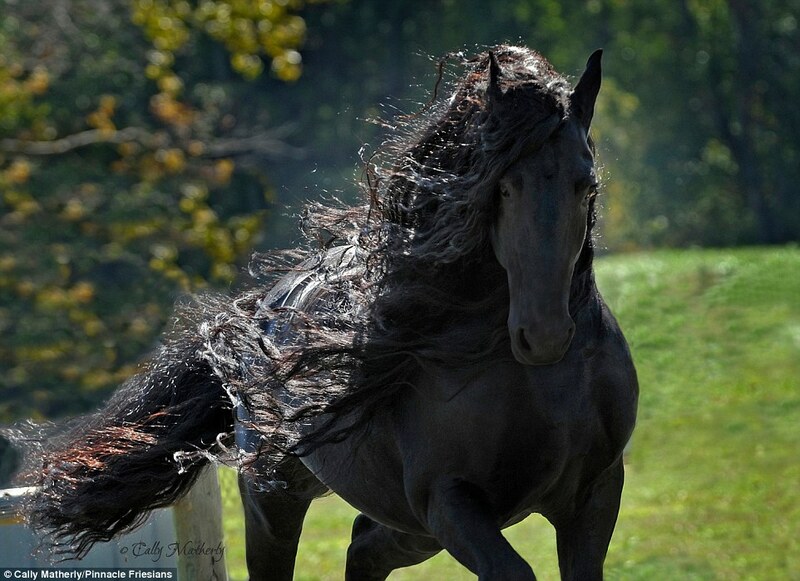 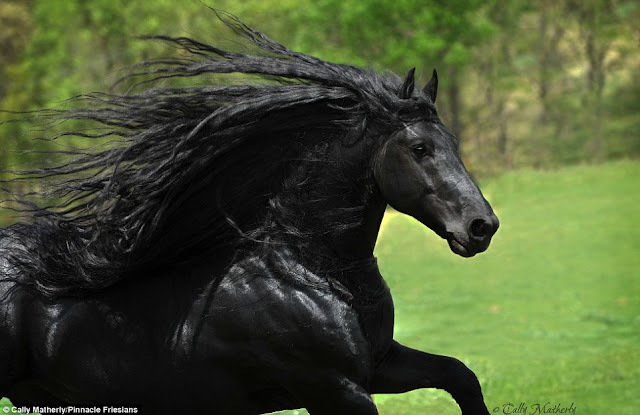 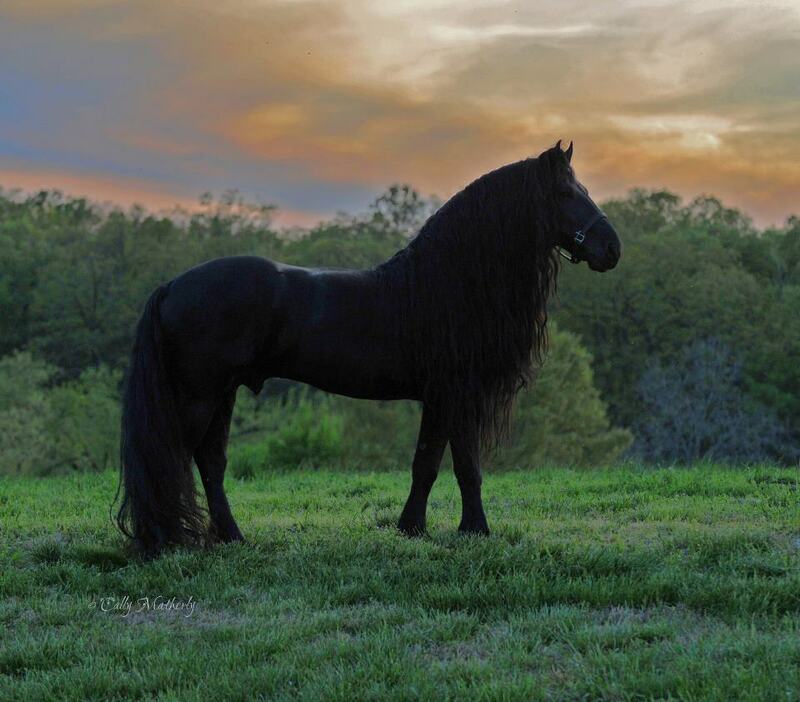 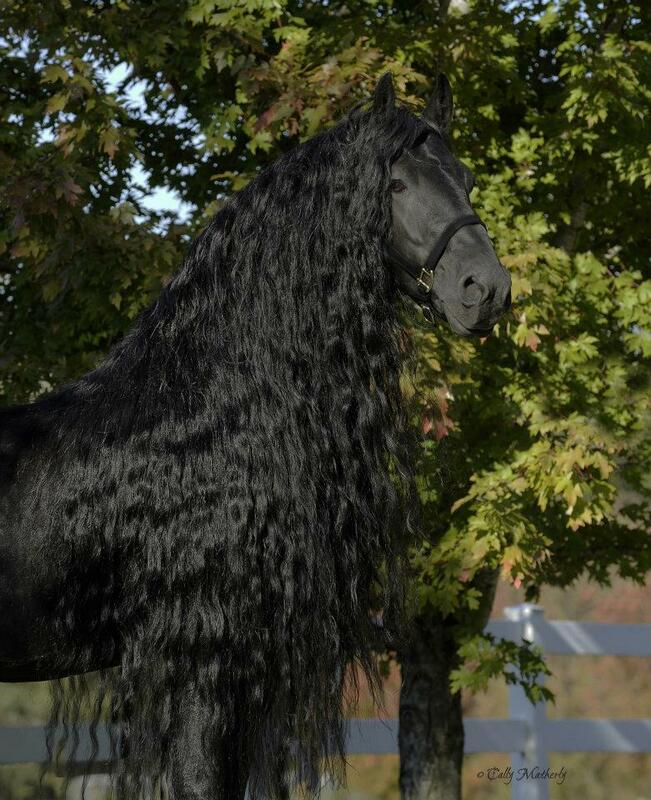 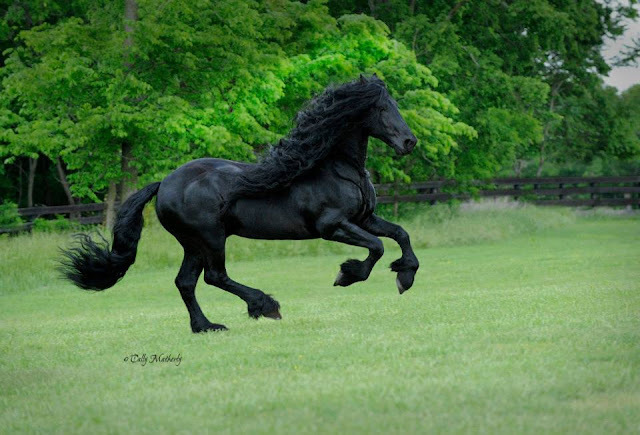 The beautiful stallion is owned by Pinnacle Friesians where he stands at stud in the Ozark Mountains in the US. 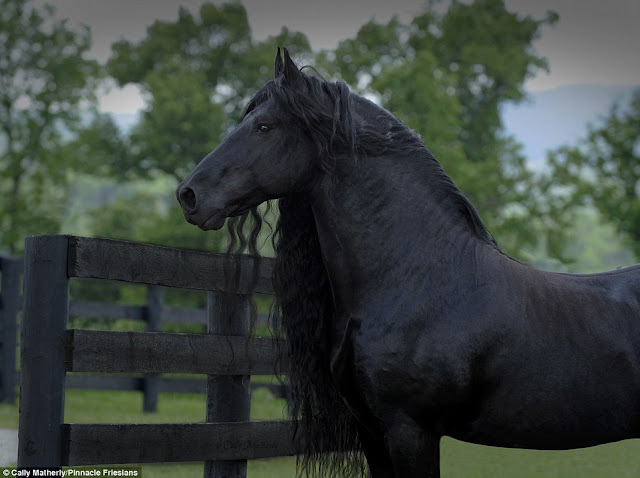 The handsome Friesian has some movie offers provided by most famous Movie Production Companies. 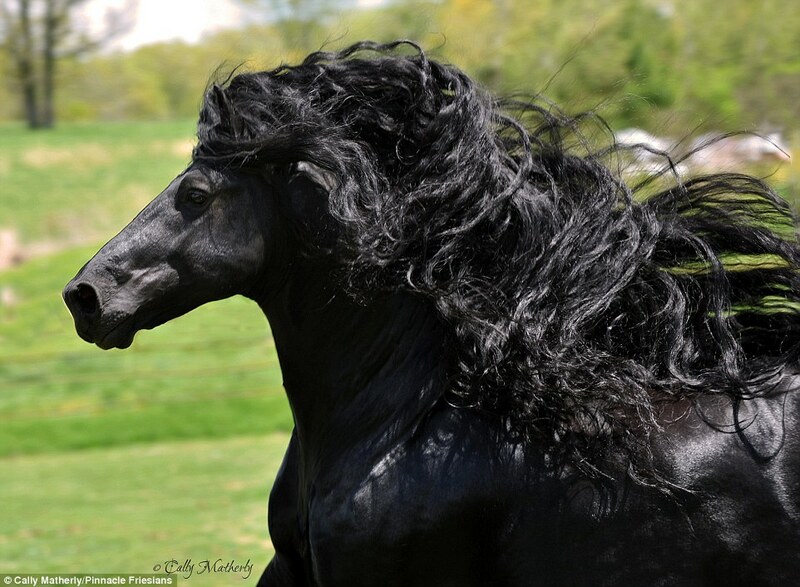 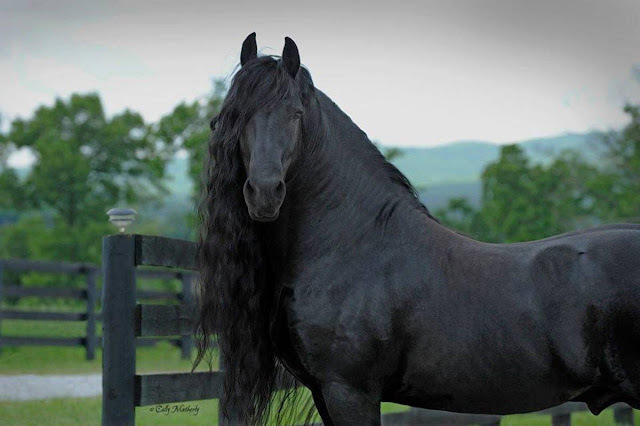 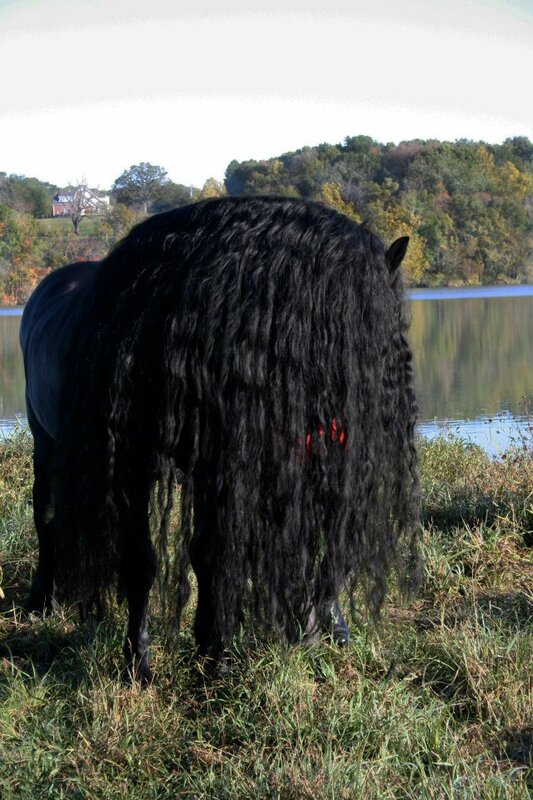 Responses to "Meet Frederik The Great, A Stunning Friesian Stallion From The United States"
Oh yeah, that mane gets braided or wrapped when he is outside. 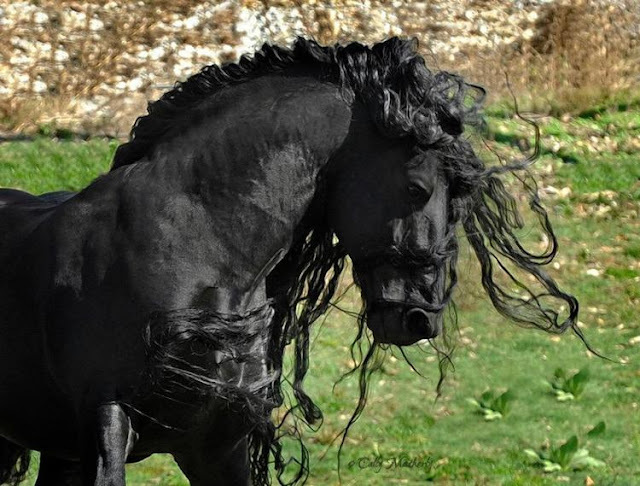 what a great looking animal.